Dogmeat, your trusty wasteland companion, was an emotional rollercoaster in Fallout 3. While he was a big help, not to mention a trusty companion, he could die! The pain! The anguish! 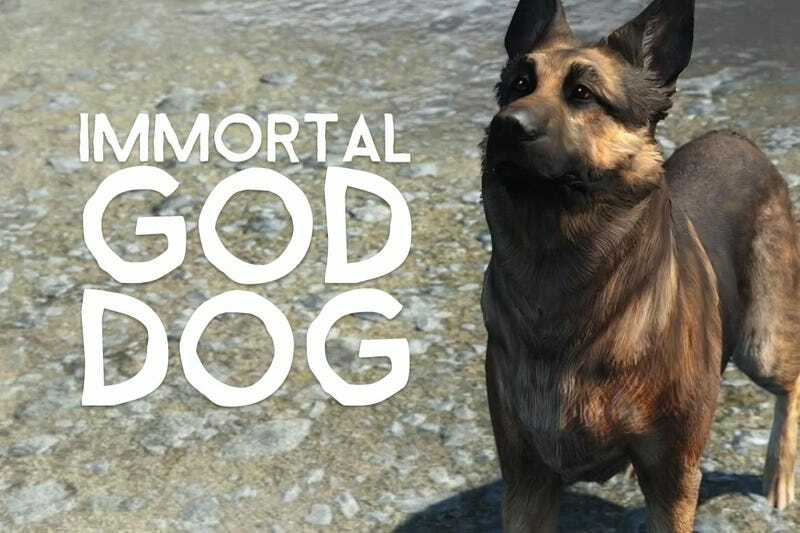 Fallout 4’s pooch won’t have the same vulnerability. That’s not to say you get off scott free! He might take damage and faint, ala Pokemon. Or he might limp off and have to be recovered somewhere, ala the “puppies” feature in the higher levels of Fallout 3. Or, he might leave you! Find a better man/woman/wasteland and break your heart. But that’s a pain less finite, and more manageable, than Fallout 3’s mortal consequences.